Today is a day of exploration in Prague. We have a full breakfast at the Hilton in the morning followed by a city tour by bus and foot. The estimate was 3 miles of walking. 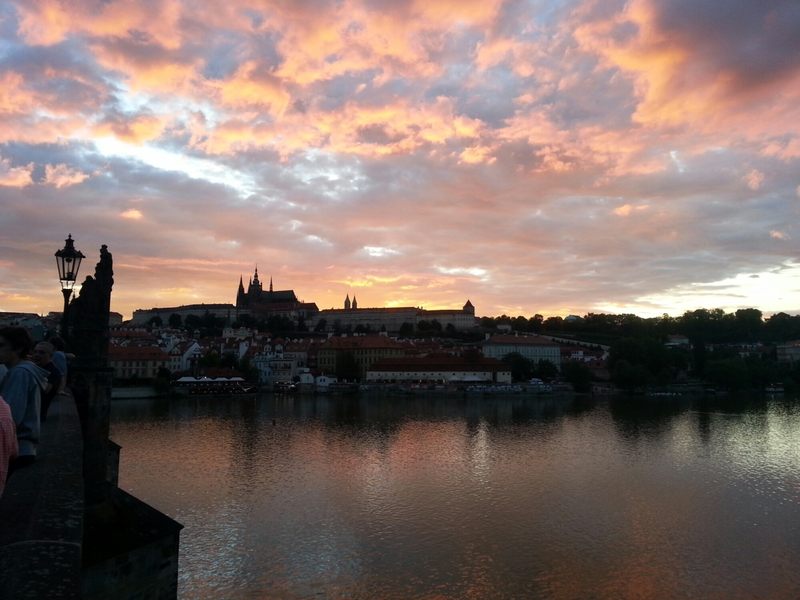 We saw the Jewish Quarter, the Christian Quarter the Charles Bridge, Prague Castle and several other sites. Upon return, we set out to explore in more detail. Armed with a sketchy map, we started out. Luckily, we stopped for lunch as a thunderstorm came through. Boars neck for me, and, of course pilsner beer. Prague is an amazing and very walkable. 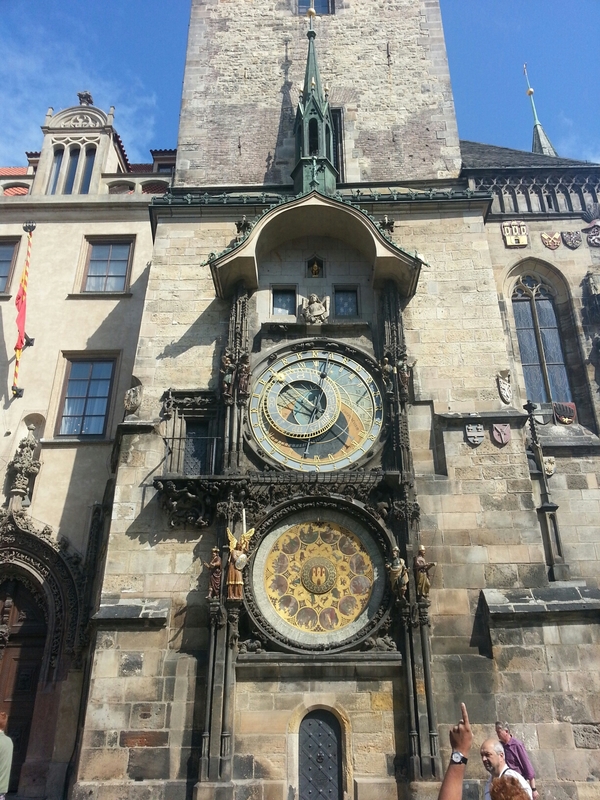 We walked somewhere around 12 miles, checking out the non-event Astronomical Clock and the Metronome. At the clock, every hour the twelve Apostles circle through windows culminated with a rooster crowing. It takes two minutes and draws hundreds of tourists. 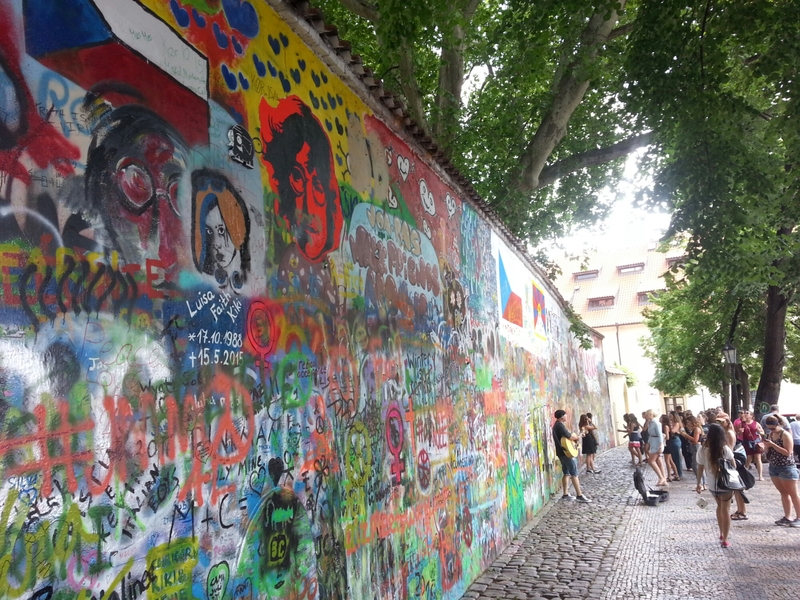 We also caught the Lennon wall, not Lenin, Lennon, as in John. We headed out on foot across town, got lost more than once, made our way to the finicular that climbed up to their “Eifel Tower”. We saw gardens, an observatory and the tower. From there, we wandered to a Monestary and back to the palace/Cathedral. The view of the castle. Lunch at a cafe along the river overlooking Charles Bridge. I had boar’s neck. 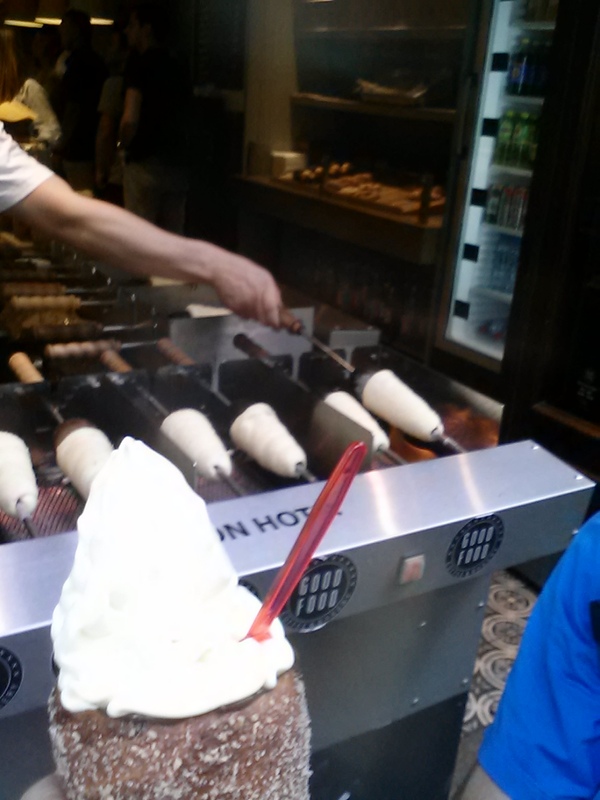 More hiking, another pass through the town square, the clock, more getting lost, and a local specialty called Trdlo, a vanilla/cinnamon/cone-shaped bread filled with soft serve ice cream, before returning home. 14 miles of walking! Epic day. Tomorrow, bus ride to Budapest and boarding our ship.